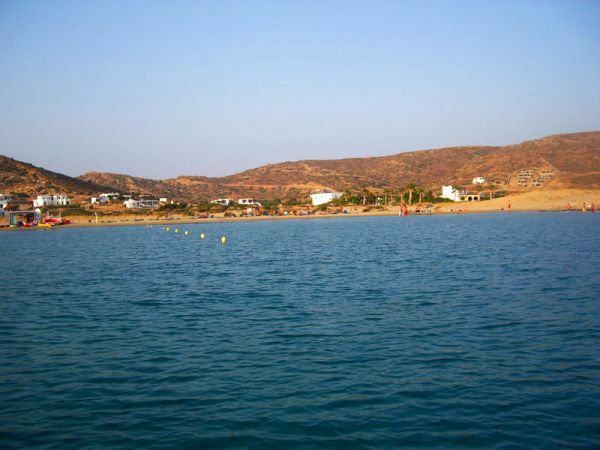 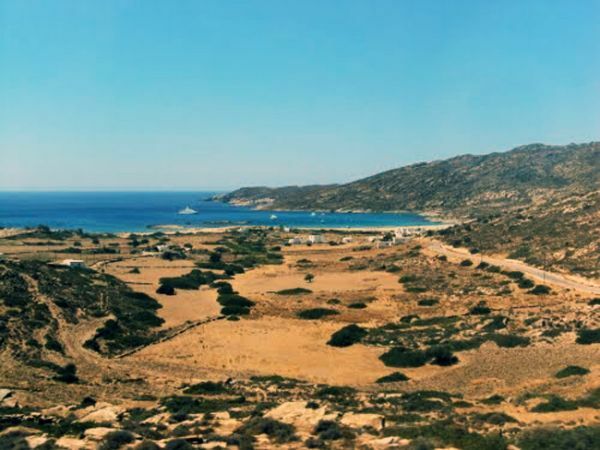 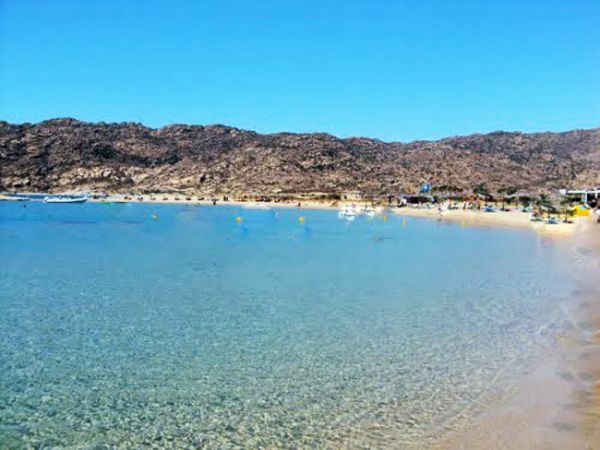 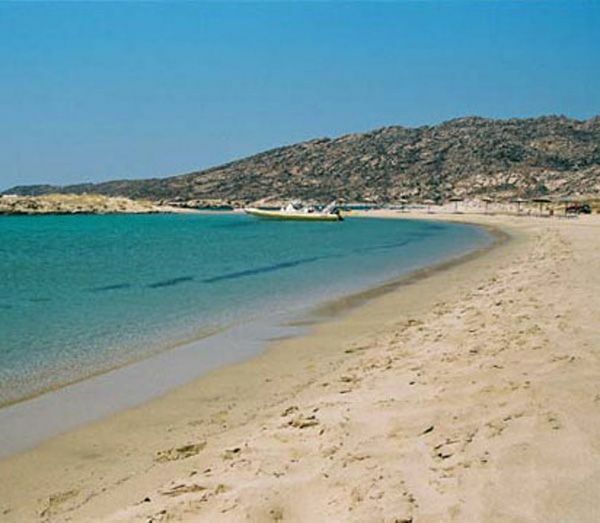 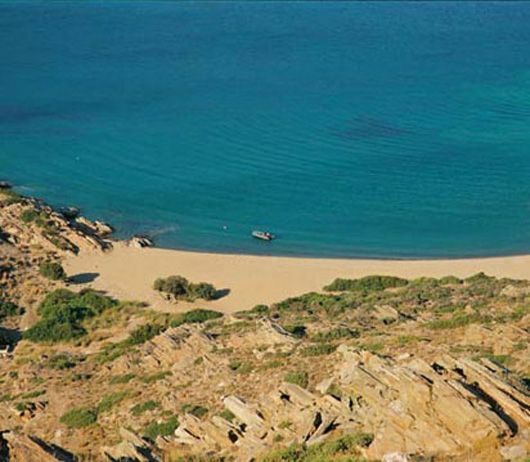 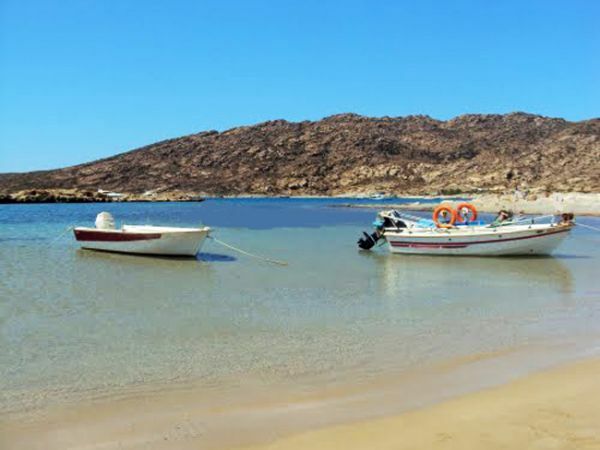 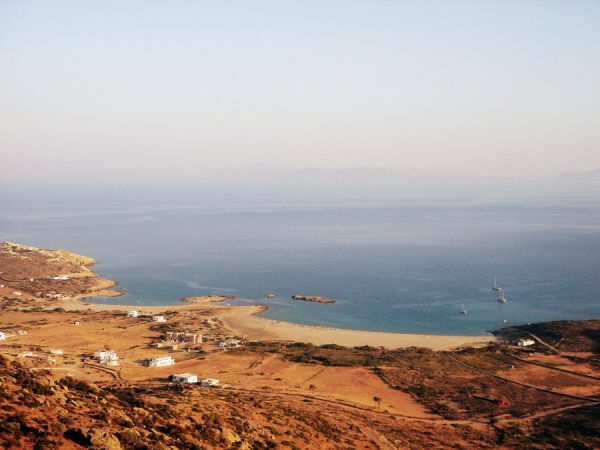 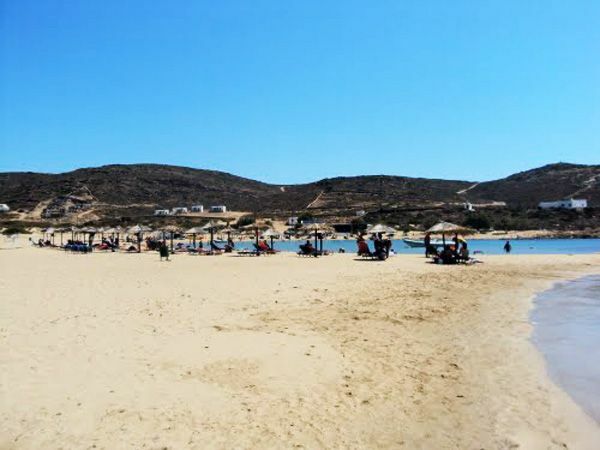 The large bay of Manganari is one of the most famous in the Cyclades, mainly due to its wonderful beaches but also because a former Greek prime minister used to spend his summer holiday in an isolated resort without electricity that was found there. 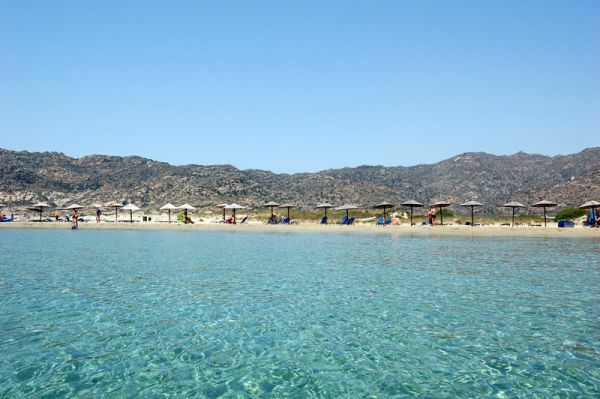 Maganari is a complex of a large and four smaller idyllic beaches with shallow transparent turquoise waters and soft golden sand in and out of the sea. 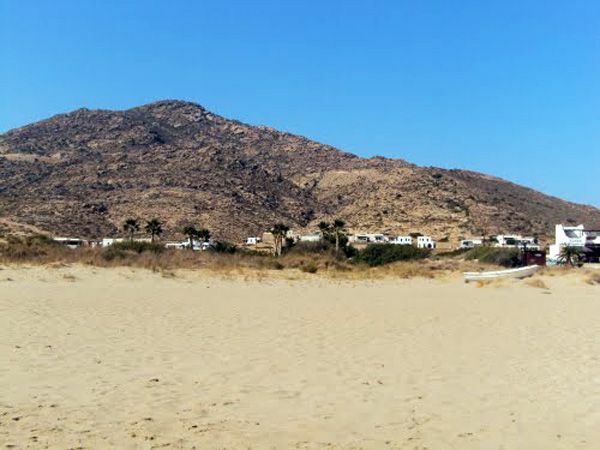 The few new buildings and the beach facilities have spoiled this paradise like landscape, however the place still maintains its exotic character. 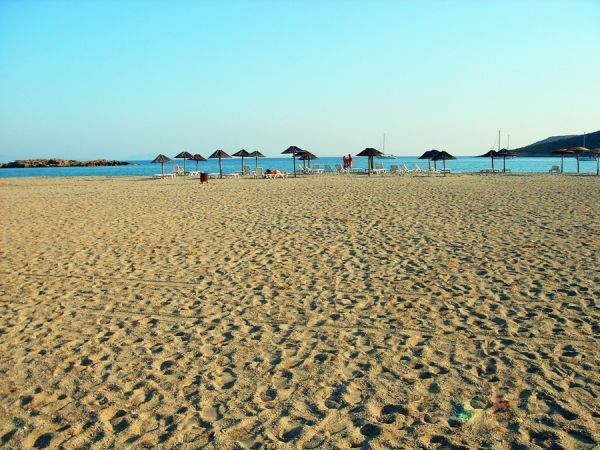 The large beach offers watersports, umbrellas, a few tavernas and a few rooms to let, while the smaller ones offer more privacy. 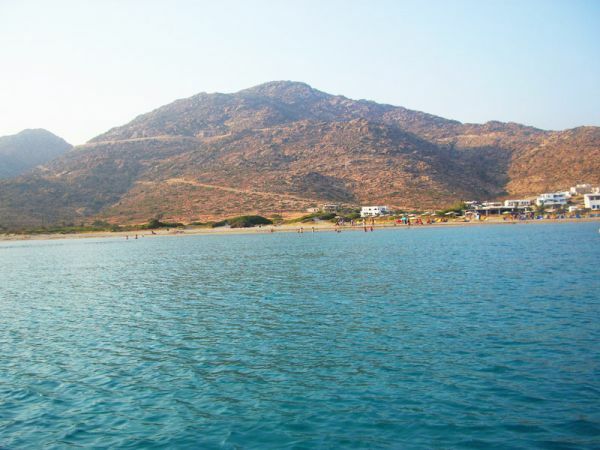 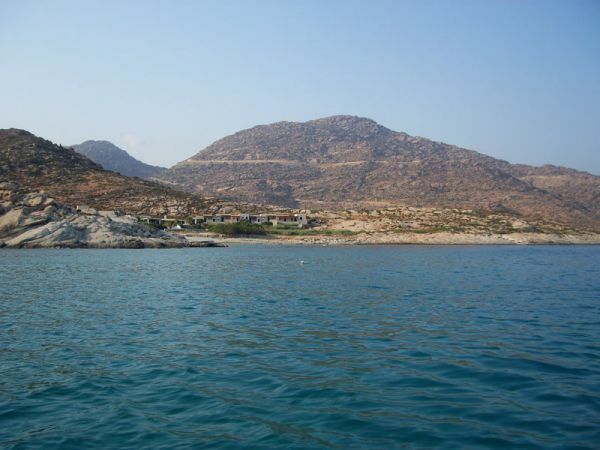 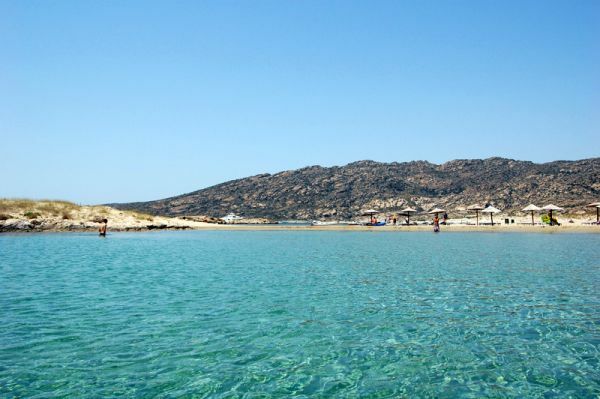 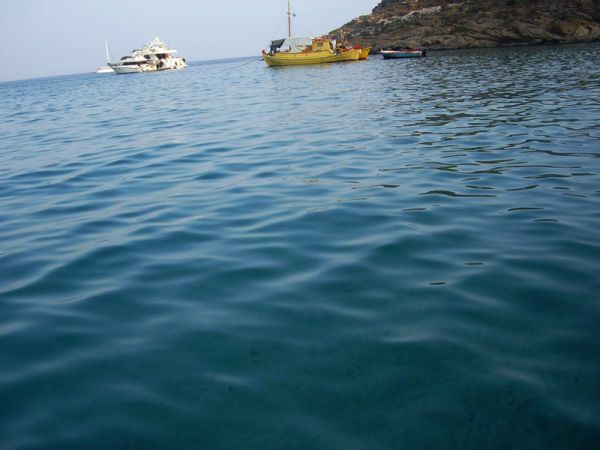 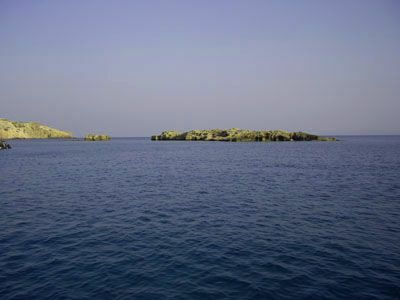 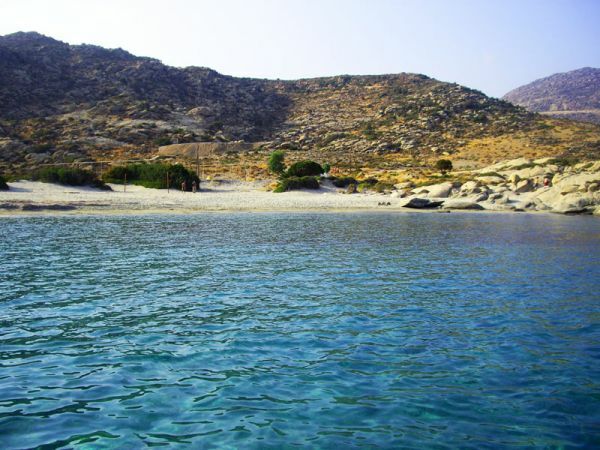 Maganari is found at apx 23 kilometres from Yalos port to the south and it takes some time to get there. 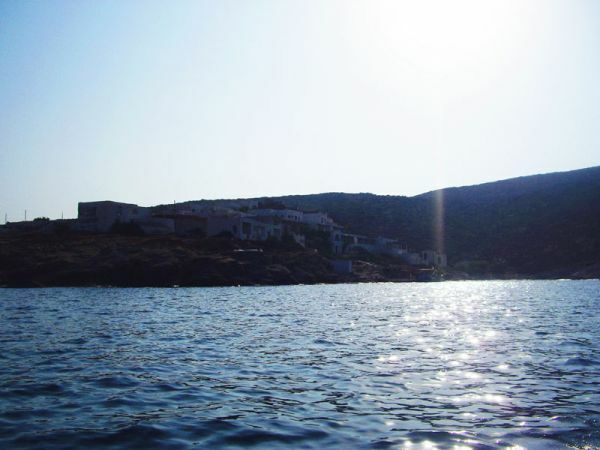 You should follow the road to Mylopotas, then climb up the hills and turn right before Kalamos monastery. 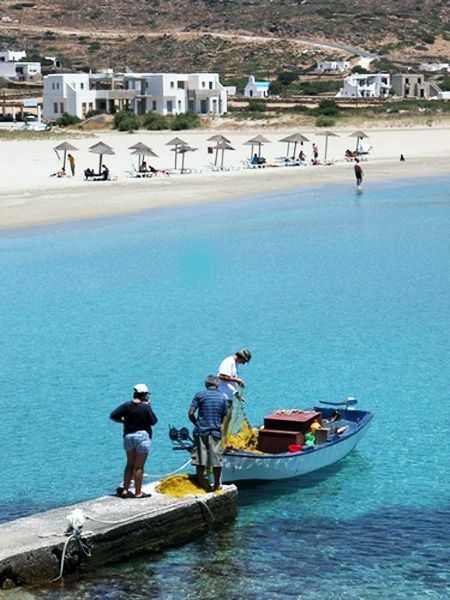 There are bus and taxi connections from the Port, from Hora and from Mylopotas. 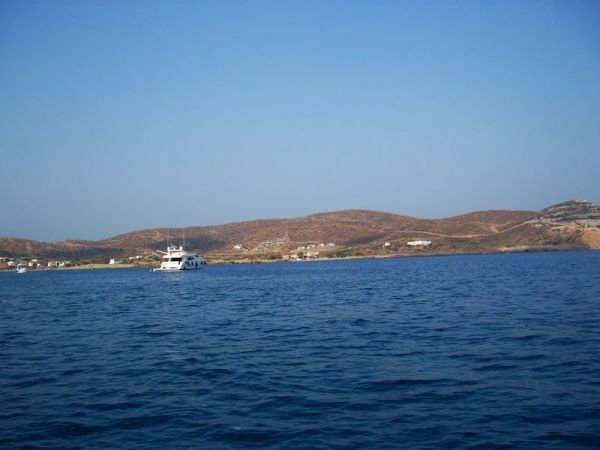 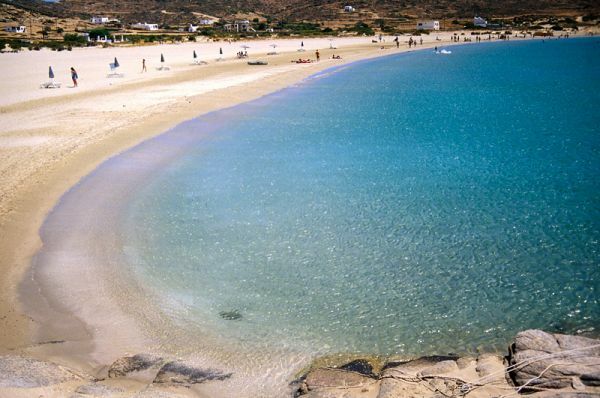 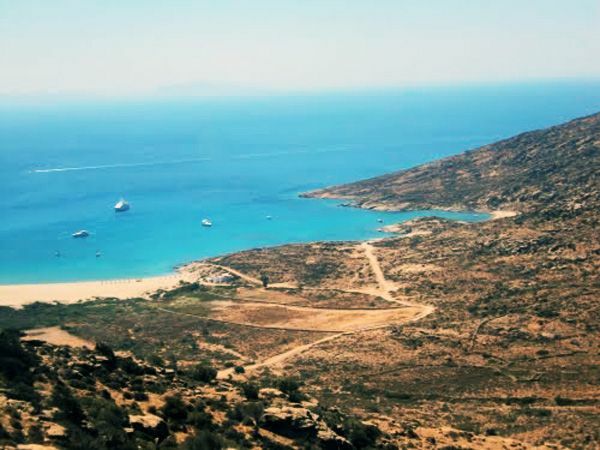 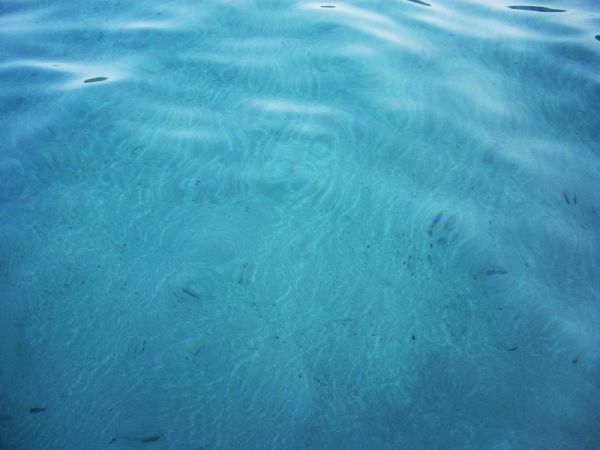 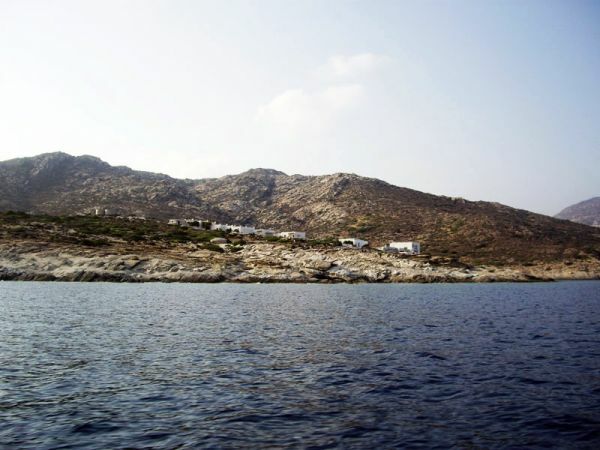 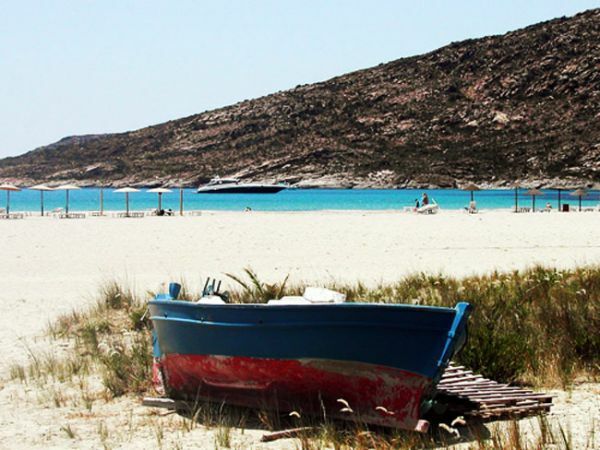 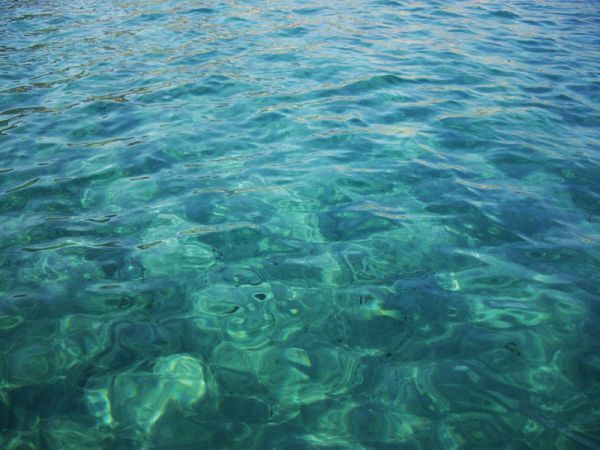 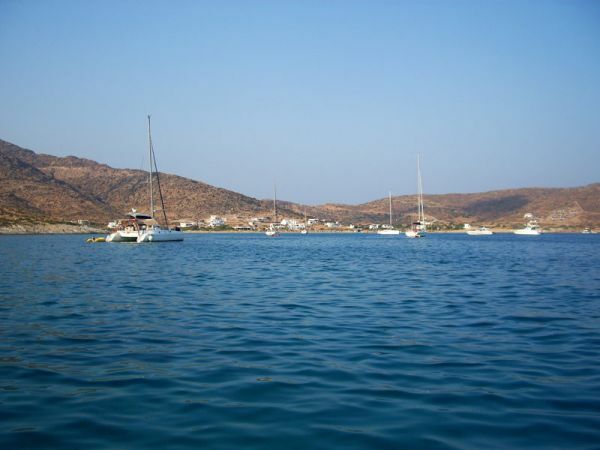 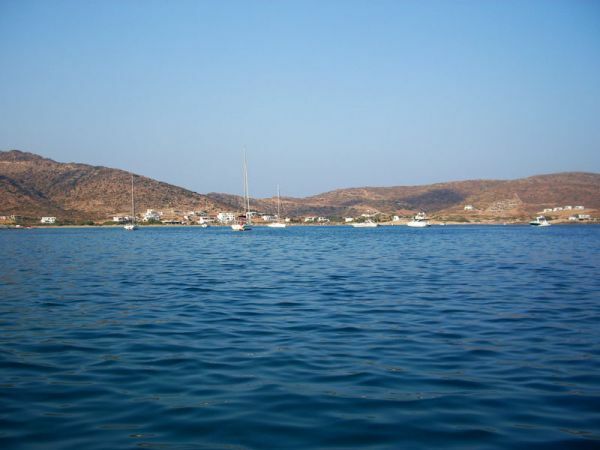 Maganari is one of the most popular anchorages in the Cyclades, because it is protected from the Meltemi. 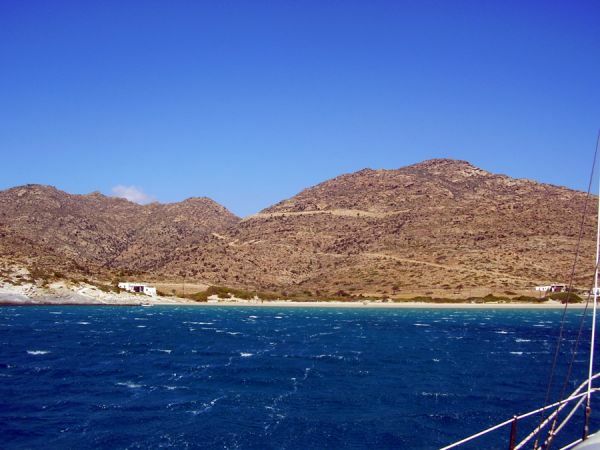 However with strong winds there can be gusts. 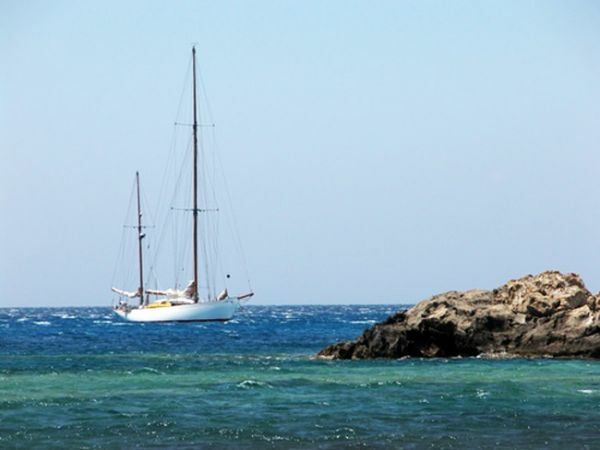 Totally open to South winds. 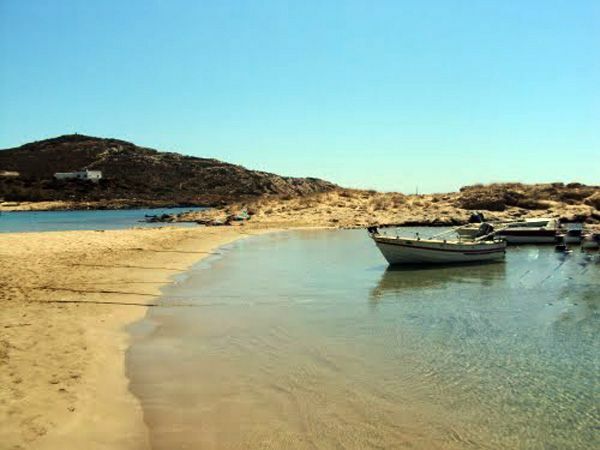 There is a small jetty for disembarcation with the dinghy.